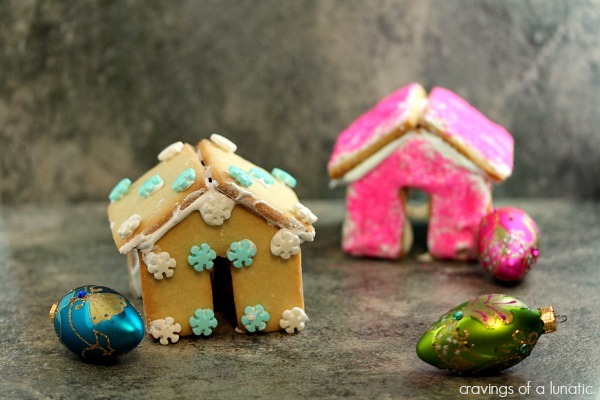 These adorable little Sugar Cookie Houses make perfect little Hot Chocolate Mug Perches. Or you could slip them on coffee mugs, or tea. 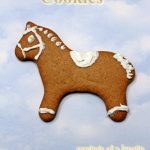 They look adorable and taste amazing! They also make perfect little gifts for family and friends. 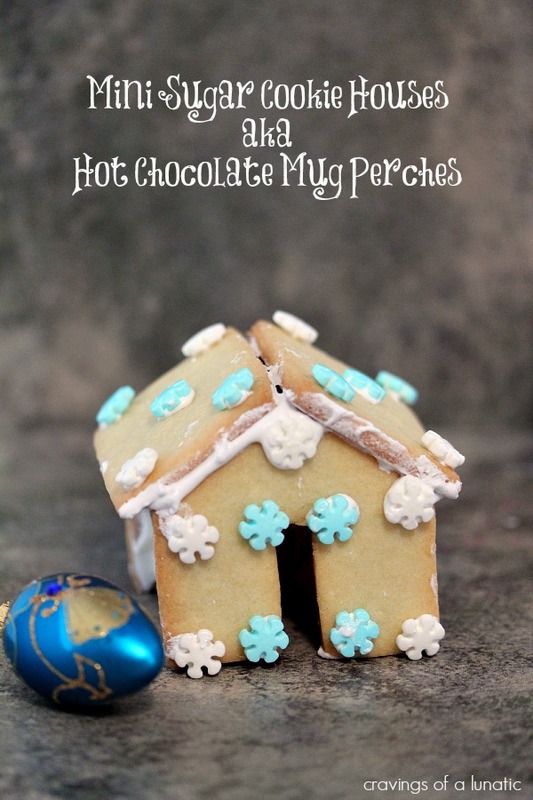 If you are a regular reader you likely know I made some Mini Gingerbread House Hot Chocolate Mug Perches not long ago. I loved them so much I just had to adapt them and make them again. They are so worth the effort they take. They are not difficult to make, just a bit tedious and time consuming. But the results are so worth it. I love Hot Chocolate and have made two Hot Chocolate recipes thus far for Christmas Week. 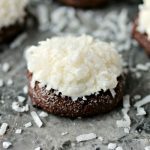 You can check out my Coconut Hot Chocolate and Chocolate Covered Spoons which would go perfectly with these little houses. I also made Peppermint Hot Chocolate with Peppermint Wands which would also go perfectly with these adorable little houses. Make sure you set aside a good chunk of time to make these. I make my dough the day before, then leave it in the fridge overnight. Then I make the cookies and assemble them the same day. Sometimes I decorate the houses the same day. However if you’re concerned about breaking them you can let them set up the day you make them then decorate them the next day. So when I say set aside some time to make these that is why. It’s sort of a recipe that requires stages. Again, these cuties are totally worth it though. This time I decorated late so I may take some better photos for you later in the day. The icing takes awhile to set up and with my kitchen in reno chaos I’ve had a hard time keeping up with Christmas Week. Hopefully the project is done soon. Otherwise I may lose my mind. 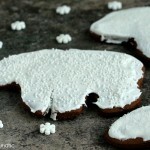 Baking and decorating cookies with renos happening around you is a serious buzz-kill. I find it hard to be creative in chaotic environments. I have no idea why. But it’s all worth it when I see these cookies houses. For me sugar cookies just scream “holidays”. I love them so much. They are so fun to make and I love that you can get the kids involved in making and decorating them. To me it’s not Christmas until we make a big batch of sugar cookies. I think this just took them to the next level. I mean look at these things. Gorgeous! Normally I’d give you a recipe right now but I used the exact same recipe with no adaptations from Martha Stewart. So instead of posting them here I’m just go to direct you over there. I used Martha Stewart’s Sugar Cookie Cutouts for the cookie houses, and I used Martha Stewart’s Royal Icing Recipe for frosting them. To learn how to make the shapes and put them together I invite you to visit Not Martha for her straight forward and beautiful photos of how to do this. I’m going to try to put together a tutorial for these if I find some time. We’ll see how the weekend goes. 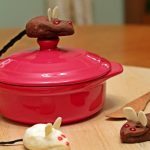 I want to make another version of these while my son visits. They are just so cute I’ve become completely addicted to them. You will too. Thanks so much Maureen. For me it’s called insomnia, lots and lots of insomnia. Lol. , then throw it on the smoker for about an hour. That sounds amazing. Good luck. omg these are PRECIOUS!! cute as crap! This is such a precious idea. Perfect for dunking. Thanks Veronica. I love dunking them. They are so cute! I wish I had time to make them, maybe next year! Thanks so much. We love doing things like this. Makes for precious memories. These are so cute! What a neat idea and cute to go with nice hot chocolate! Awesome job. Thanks so much Tina. I love making these. I would let me daughter make meatloaf. She makes scrumptious meatloaf and will be home from college soon. Thanks for the chance to win! I would make a pork chop casserole that my Mom taught me. i would make an enchilada casserole. That sounds so good. Good luck. Would love to win the ceramic ovenware for making lasagna or a casserole! Would be perfect for either of those. Good luck. Cute stuff! Too cute for me, but it’s for to look at! You are SO darn crafty! 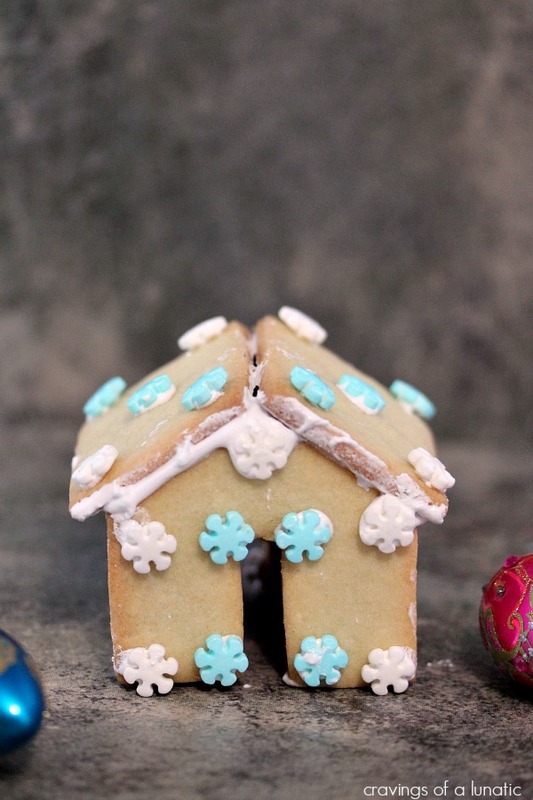 My houses would never fit together this perfectly…but it would definitely be a fun project to try (as well as yummy!). Ha, thanks. I jazzed them up the other night when I couldn’t sleep. I should update the pics. Very cute Kim, I have never made these but I love the idea!!! Thanks Tara. I love these things. So much fun. Roasted chicken with vegetables come to mind, I just need to find a great recipe for it! That sounds lovely. Perfect for this. These are too cute! I get SO frustrated with the huge gingerbread houses, this might be more my style. They are fabulous. If you make mistakes you can use a damp q-tip to touch them up. I jazzed this up a bit the other night. I always forget how much they need to be layered with things. Hard to do all in one sitting. Looks like Martha steered this one in the right direction. Only I think you’re way more fabulous than Martha. Ha, thanks. I need to post some updated pics of these. I’ve been playing with them so more. Oh my heavens… how cute are these little houses??? My daughter would love to make them, and then eat them. So fun! Thanks so much Kim. I love doing projects like this with the kids. It’s just good fun and it’s cool to have those memories and traditions. These are adorable! You did an amazing job on them! What a great idea! 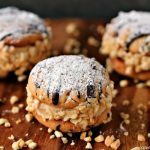 The kids will love doing these and eating them as well. and don’t get completely eaten! Thanks so much Cathy. I find the smaller ones get eaten. The big ones not so much. A big old pasta bake. I cannot get enough of baked pasta right now. I love pasta bake. So comforting. Good luck Emily. Oooooh! I’d love this pan in Red. Such a generous size for making lasagna! Red would be cool. I love lasagna. Good luck. That sounds perfect. Good luck. We enjoy meatloaf and this is a good size to make it. So that is what we would use it for. That sounds perfect. When should I show up for dinner. Good luck with the giveaway. Brisket is perfect. Good luck. These are too freakin cute. I could never make them. Because I am sooo not good with crafty stuff. But I can totally admire them. I am ready to make some lasagna. I do believe I have an email from you in my inbox. I emailed you addy to the gal who wrote the book. She’ll ship it to you. Just hit me up when it arrives so I know it made it safely. Congrats on winning that one. LOOKING forward to getting this will let you know when I receive and make some things.Thank-You. This would be great for my Christmas Eve Lasagna! Thank you for the giveaway opportunity. I would make lasagna! Hugs P.S. did you get your entry in for my latest giveaway? I would make a pumpkin-ricotta lasagna. I would love to make My chicken enchaladas! They are a huge hit around here! 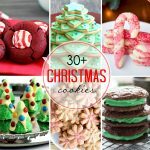 These are beautiful to look at and, I am sure, delicious to eat! Almost to beautiful to eat…almost!!! !